As sales leaders, we're often tasked with "motivating" our sales teams. We create contests and special clubs to reward the top performers. We create stack rankings to guilt the low performers. We create Performance Plans to help either increase performance or move people out the door. We invest in the "new sales paradigm" sales training of the moment and schedule weekly 1:1s to provide insight into how our people could make more money. 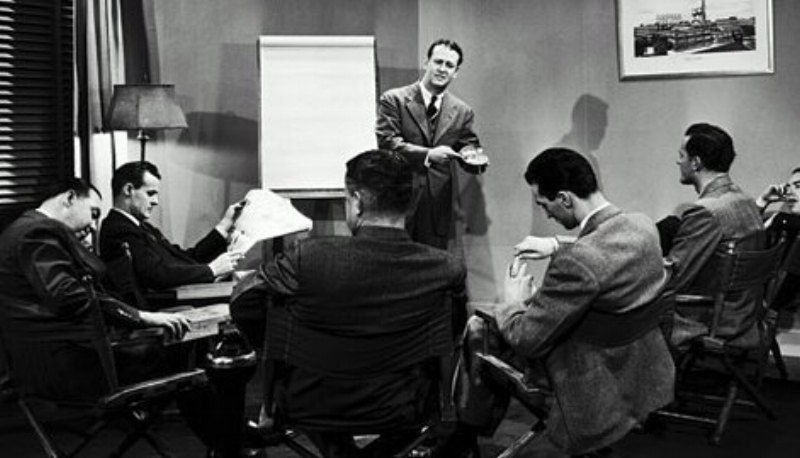 And then, inexplicitly, we sit in Sales Leadership Meetings, looking at a Power Point slides that illustrate low sales activities, sub-par quota performance and 50% or higher salesperson turnover rates. Then the ideas are passed around like the cranberry sauce at Thanksgiving - Maybe a new contest? Maybe tweak the comp plan? How about a sacrificial firing to get everybody on their toes? None of it works - we're stumped. Why can't we motivate our sales people? Well, after asking myself that for years, I've come to the realization that you may as well ask "why can't we REFRIGERATOR our sales people?" I have come to believe that like the word "Refrigerator", the word "Motivation" is a NOUN and not a VERB. You either possess motivation or you don't. It's that simple. You cannot motivate someone to do something. Ok, I can hear the gears clinking in your sales manager brains - "You said either you possess motivation or you don't. I can inspire a top performer who's in a temporary slump with MONEY- that's easy. The hard part is that I have employees that don't possess any motivation at all, they're lazy and they squeak by doing the minimums and they aren't interested in making money." Newsflash - not everyone, not even salespeople, are motivated solely by MONEY. And if they are motivated by money, they won't be for long. Let’s be frank here (Hello, Frank! ), even though you may THINK motivating top performers with MONEY is “easy”, I would bet a dollar to a donut that you’ve had TOP PERFORMERS who were getting all the spifs and winning all the contests who ended up LEAVING your employ, leaving you physiologically disheveled muttering “Wha happened?” like somebody who went to a work picnic and woke up in jail next to Charlie Sheen and a goat. That’s because even for your people who are motivated by MONEY, once they make ENOUGH MONEY, the MONEY won’t motivate them anymore! So if your whole inspirational/motivation plan is based on money, it's no wonder you’re still reading this article. In simple terms – once I have enough food, I need stability and safety. Once I have that I yearn for relationships and a sense of community with others. Secure in relationships I concentrate on feeling good about myself. Once that happens, I can start concentrating on being a better ME! As sales leaders, we tend to concentrate at the bottom of the pyramid. This is where MONEY and JOB SECURITY live. So we use both carrots and sticks to attempt to "motivate" our teams. Contests, spifs, leader boards, performance plans, threats of termination, begging, crying...all this in the bottom two rungs of the pyramid. Here’s the problem - whether they are a top sales performer or a solid B or C player – once your people have what they personally and individually perceive to be enough money to eat and sleep and aren’t afraid for their job, psychologically they start yearning for belonging, self-esteem and self-actualization. And if you don’t have a program to help meet those needs, your people de-motivate themselves. So let’s say you buy into all this – what can you do? I’m not going to sit here and tell you that you have to start asking your people what motivates them or where they fall on the Maslow Scale. We as salespeople have TOO MANY internal non-selling meetings already and adding another to your calendar may get you trapped near the Inner Circle of Fault. So how can you create opportunities to inspire your sales teams in ways that hit different levels of need on the Maslow scale at the same time? Make it rain, but make it NOISY rain - A spif or contest where money is awarded fulfills basic needs. And no one gets into sales for 100% altruistic goals – so money is important. Sadly though, in today’s environment, most sales organizations award these “monetary awards” simply as a mere benefit for reaching a certain goal or number. This can counterproductive, as they are seen as mere wages and will only motivate those who "need the money." For those who fall higher on the Maslow scale, it’s more “Meh.” However, if the same money is awarded in an atmosphere of public praise, this can work to motivate those who don't "need the money" – and it’s more than just an email or an announcement at the end of a sales meeting. It has to be bigger. Those of us who have been around awhile remember when we as a sales community used to do this – special awards meetings and plaques and trophies. Nowadays, conventional wisdom is that this type of recognition is too garish and gaudy. To that I say “Ha!” I said "HA!" Case in Point: At the last Fortune 500 Company I worked for, the back mail room was full of wooden plaques with brass nametags of the top sales performers. five years prior, this company stopped noticing and recognizing top performers like that. Management said “it's too expensive to hold those events, let’s just pay them.”So that’s what they did. No awards, no public recognition – just money. Fast forward five years later and low and behold, every single one of those “top performers” named on those dusty plaques were gone…left to fill their psychological needs (and surpass their sales quota) elsewhere. Glad the company saved all that time and money not having to buy all those brass nameplates. True Story. Respect my authoritah! - If you've created an environment where every incentive to close a deal has to be run through you - or other management - it's no wonder your people aren't motivated. Running to Mommy to ask permission doesn’t really get the old self-esteem juices flowing. Granting additional authority to salespeople in their activities (level of discount, offers of free or discounted services, additional licenses or products) is a SURE FIRE way to meet their higher needs. They are 'deal makers' so let them deal! Note - Don't fall for the old management canard "If we let them discount by themselves, every deal will be discounted." If you're afraid of that, why not just combine this tip with tip #1 and create a public incentive program that rewards the salespeople with the smallest number or percentage of discounts? Problem solved and higher needs met, two fold! The "go-to" person - When I was an individual performer, I can't even count the number of teams I was on where I didn't know and didn't care about the names of the other people on my team. As a top performer, I was responsible for my number and I really didn't have any incentive to share my "best practices." And when management tried to get me to share my decks, my value props and my objection handling techniques, I always responded with "What's in it for me?" So, yes, I was a bit of an a**hole (well, more than a bit of one.) But the blame really rested with my management - until I had one executive who identified what I desired was something more. I wanted to be respected as an expert. Everyone wants to be known as an expert in something. It's a natural desire to want to be respected by one's social circle regarding one subject. For some it's politics or cinema; for others it's comic books or gaming; still for others it's baking or thermodynamics. By giving people on your team something to be an expert regarding, you're meeting their higher needs for responsibility, achievement and recognition. It doesn't matter what the "unit" is - a product, a feature, an area - give it to them and let them make a name for themselves with it. As your team becomes more interdependent on each other to close deals, you'll be surprised to learn you're well on your way to meeting another higher need. I couldn’t do it without you! - One of the biggest problems sales managers have is "team building." This is because each team member's job is to close business for THEMSELVES (see my a**hole explainer in Tip #4.) But once you engage in Tip #4, you may find your team becoming more interdependent. Look at it this way – if you can create and foster an ecosystem where your team is voluntarily working with each other – scheduling time on each other’s calendars to help learn new things to move deals forward - you have more team building (and community building) than than a thousand mandatory "team building" go-cart outings or parking lot BBQs would ever create for you. Each member of the team can rise to that top level of the pyramid - Self-actualization. Which not only means becoming their BEST SELF – but helping others become THEIR BEST SELVES. Ok, you may think this is a bunch of hokum jibber jabber – that none of this will work at YOUR company. Because you have snowflake problems that no one else in the world has. How is that thought process working for you? Here’s the real deal: 90% of sales managers don’t meet their FORECASTS – let alone their quotas. That’s a fact. And it's getting harder and harder to differentiate yourself and your company’s offering to the rest of the world. Customers have endless choices and automation makes their information gathering process pretty easy. Those are facts too. Now, more than ever, we need salespeople that possess the MOTIVATION to chase and close business. And what we're doing now isn't working. Here’s the last bit to keep you up at night: GenXers and Baby Boomers are leaving the salesforce – it’s called aging, look it up. Millennials are on the rise, and it’s apparent to me as one who hires and manages sales people that they look at the world differently – they seem to be pre-coded to live higher up on the Maslow Scale from the get-go. I never heard the question “What’s the quality of life here?” asked before “What’s the commission structure?” in an entry level sales interview until a 24 year old interviewee said it to me a few years back. I looked at him like he was speaking a foreign language. Not anymore. Now I'm ready for that question. Are you? These young go-getters are wired differently. And either you can sit at the hotel bar and complain about it to all the other gray haired old fogies, or you can act your way into a new way of thinking and dealing with your people to build a stellar sales team. If it’s the latter, I hope this article helped illustrate some ways you could do that. If it's the former, thanks for the resumes! As always, I may be right or I may be full of shabba doo doo. What do you think? Let me know.